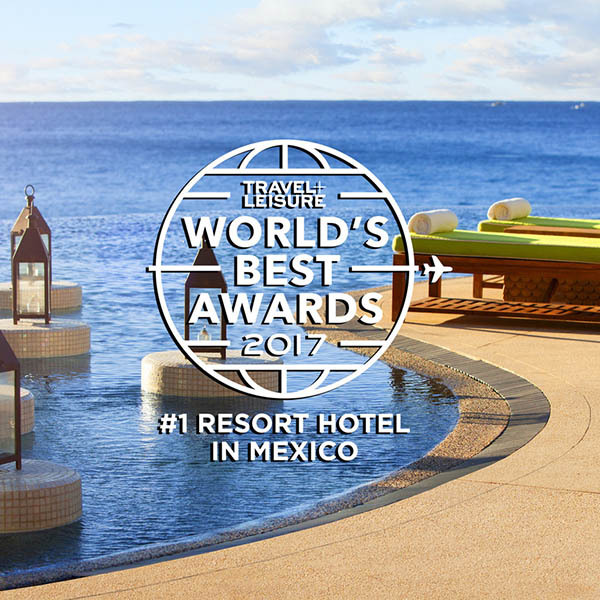 July 12, 2017 – The Resort at Pedregal, a AAA Five-Diamond, Forbes Five-Star resort in Cabo San Lucas, has been named Best Resort Hotel, Mexico in the 2017 Travel + Leisure World’s Best Awards readers’ survey. In addition to achieving this No. 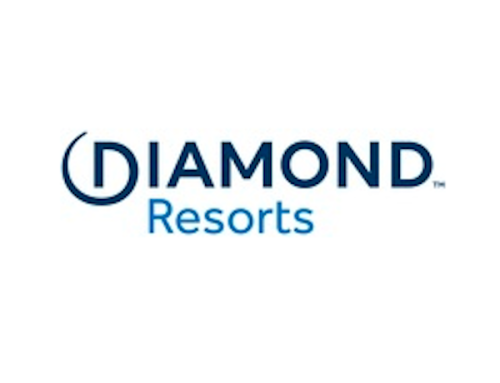 1 place on the World’s Best list with a score of 96.88, the resort was also awarded the No. 28 spot in the 100 Best Hotels in the World ranking. This is the second time the resort has been awarded this prestigious accolade after being named No. 1 in Mexico in 2014. Readers of Travel + Leisure were invited to participate through Travel + Leisure magazine, T+L tablet editions, newsletters, social media, and travelandleisure.com. The majestic Resort at Pedregal offers the sophisticated traveler a number of luxurious accommodations including ocean view guestrooms, beachfront suites, bi-level casitas and hillside villas, each with its own private plunge pool and Personal Concierge. Guests can spend their days indulging in the beachfront boutique’s large main pool, the 12,000-square-foot spa, Luna y Mar, where signature treatments are based on the cycles of the moon, enjoy champagne and mole pairings at the Champagne Terrace, and more. The backdrop is a stunning location nestled on the region’s most coveted parcel of land – an extraordinary, 24-acre site at the southernmost tip of Mexico’s Baja California Peninsula. Guests at The Resort at Pedregal will enjoy the incredible natural ambiance of El Farallon, the resort’s award-winning alfresco cliff-side and oceanfront restaurant. Stocked daily with bounty from local fishermen, El Farallon has become a hallmark of exquisite dining. The resort’s sought-after restaurant, Don Manuel´s, is designed in the style of an authentic Mexican hacienda and serves dishes with a focus on local, organic products grown specifically for the restaurant and prepared using old world techniques in a modern setting. With the new Beyond the Beach: Baja Luxploration program, the resort offers discerning jetsetters the ultimate in curated travel with a variety of new, one-of-a-kind experiences highlighting the magical spontaneity of Baja’s diverse landscape. From swimming with whale sharks and snorkeling with sea lions to surfing coveted breaks, the elite destination has enlisted a roster of naturalists and pro adventurers to check off the boldest of bucket lists. The resort has insider access to naturalists, adventurers, farmers and artisans, who lend their know-how and personal narrative, adding substance and character to each experience. And in the true Resort at Pedregal spirit, itineraries are luxuriously tailored from high-level culinary menus to post-journey pampering. The 2017 World’s Best Awards lists, as well as survey methodology, are currently featured on www.travelandleisure.com/worldsbest and will appear in the August issue of the magazine. For more information visit www.theresortatpedregal.com. The majestic Resort at Pedregal lies on Cabo San Lucas’ most coveted parcel of land – an extraordinary, 24-acre site at the southernmost tip of Mexico’s Baja California Peninsula. The exclusive haven, accessible only by the private Dos Mares tunnel, is just minutes from bustling downtown Cabo San Lucas, yet seemingly worlds apart. The Resort at Pedregal offers unprecedented luxury, sophistication and personalized service from a team of Personal Concierges who are available around- the-clock to assist guests with their requests. The property boasts 113 rooms, suites and multi-bedroom residential style villas including the Dos Mares suites, two beachfront villas, Casa Bella Vista, and the presidential villa. The resort also features an award-winning signature spa, Luna y Mar, in addition to a distinctive dining program with culinary offerings including Don Manuel’s, El Farallon, Crudo and Beach Club. Travel + Leisure is the preeminent voice for the sophisticated, insatiable traveler, serving up expert intelligence and the most immersive, inspiring travel lifestyle content anywhere. Travel + Leisure captures the pure joy of discovering the pleasures the world has to offer—from art and design to shopping and style to food and wine. Whether the experience is in print or digital, T+L offers compelling reasons to get up and go. With a total global audience of more than 9 million, the Travel + Leisure portfolio includes the U.S. flagship and five international editions in Mexico, Turkey, China, India/South Asia and Southeast Asia. The U.S. edition of T+L, which launched in 1971, has an authoritative website, TravelandLeisure.com, and an extensive social media following of more than 11 million. Travel + Leisure, a Time Inc. brand, also encompasses newsletters, clubs, retail stores, and media collaborations.